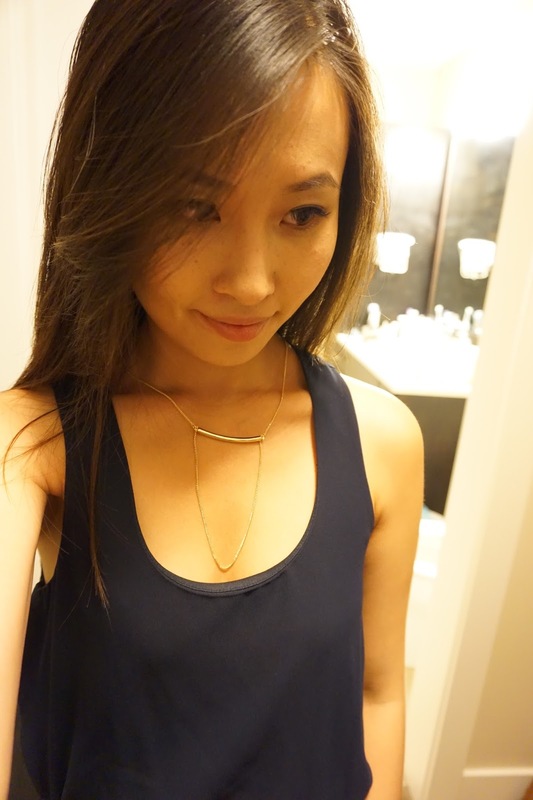 Outfit of the day is a dinner night out to Hakkasan. I finally found the perfect open toe strap sandal, it has a kitty heel that I felt comfortable in all night! I've been pairing this black H&M lace skirt with loose tops for years and it goes great with a multi-colored belt to give it some contrast. I've been wanting a black leather moto jacket but this one from Bar III is holding up quite nicely and pairs well for a clean cropped look. Latest jewelry finding from Ann Taylor (40% off entire order with FRIENDS40 code) is one of my favorite! Bar necklaces are all the rage these days but I especially like this one because the bar is not too slim which gives a little pop to your outfit.